Ross Blake is a senior level trainer with 25 years of experience in designing and delivering training in conflict resolution, team building, performance feedback, meeting facilitation, and other communication skills. His clients include several Fortune 500 companies as well as banks, manufacturing, service, military, and educational institutions. It's important to Ross that his participants learn skills so they can make positive changes in their banks and credit unions. He has spoken at industry conferences, including ABA, and before other business and training groups. 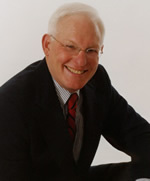 He is the author of How to Give Employees Performance Feedback & Resolve Resistance, and is a graduate of Ohio University. Many supervisors and managers dislike giving employees needed feedback about surfing the internet, not following procedures correctly, criticizing other employees, or delivering poor customer service. Supervisors and managers fear employees will become defensive, or the result will be an unproductive and emotionally-draining argument. So feedback gets delayed, allowing costly work behaviors to continue. Receive step-by-step guidance on how to give employees feedback to gain their cooperation to improve performance. Also learn two skills to resolve employee defensiveness if it occurs, and issues that are often behind it. Plus, learn how to give positive feedback effectively, something most managers don't do. These skills are also highly beneficial during performance evaluations. Actual workplace situations will be used for demonstration. A Learning Guide and Skill Reinforcement Cards will be provided. What to say and how to say it, including words and phrases, body language, etc. Branch managers, assistant branch managers, teller operations supervisors, head tellers, and anyone responsible for the performance of direct reports. This 2 hour event was recorded on Wednesday, October 24th, 2018.